Just wanted to share my call for submissions for a reading I am curating for female poets, to be held in Philadelphia. 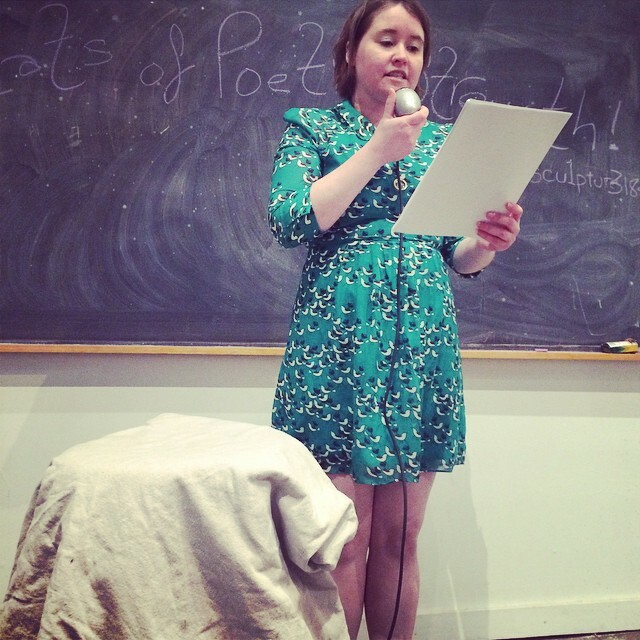 I am organizing a new, all female poet reading series in Philadelphia. The first reading was held at the Philadelphia Sculpture Gym and featured Hila Ratzabi, Kimberly Ann Southwick, dawn lonsinger, and Chloe Martinez. There is one slot open for the next reading, to be held on February 13th at 1fiftyone Gallery, and I am also scheduling line-ups for future readings. To submit, please email three poems and a bio as an attachment toloveantilovereading@gmail.com by December 31st, and indicate whether you are available on February 13th, and/or if you would like to be considered for future readings as well. The theme for the February 13th reading is love/anti-love, and you are encouraged to submit poems that fit that theme if you are interested in reading that date. Other poets reading on February 13th include Elliot Battzedek, Catherine Bancroft, Jennifer Hook, and Liz Solms. Women of color and non-cis gendered poets are strongly encouraged to apply. Please include a note specifying as such if you consider yourself to be a member of a community underrepresented in the world of literature.